Once used as a type of flexible armor made of interlocking metal rings, chainmaille has an extended history across the ages and around the world. Even today, it is being re-invented in a variety of ways, from protecting against shark bites to elaborate jewelry. 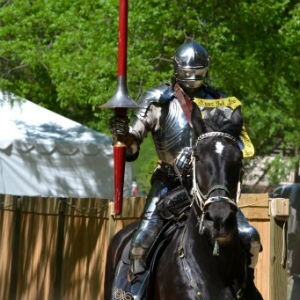 In this class, instructor Corey Green will explain historical chainmaille and its uses. You will learn techniques using the provided tools and materials to fashion “weaves,” as they are called, for different patterns. 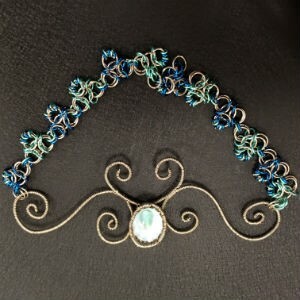 Go home with a finished piece of chainmaille jewelry and an understanding of the history of this art form. Advance registration recommended. This evening’s presentation will celebrate the launch of the first human in space, the flight of Yuri Gagarin on this day in 1961. Dr. David Kring will recount the history of human travel to the Moon and discuss our future travel. 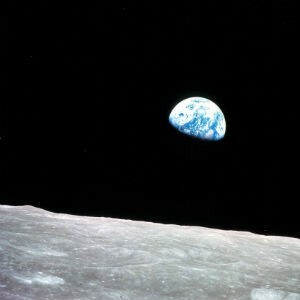 What will it take to return to the Moon? Kring will address the interfaces between science, exploration and operations that are required to ensure our nation’s return to the Moon maximizes productivity while enhancing safety and efficiencies during robotic and crew operations. Dr. David A. Kring is the head of the Center for Lunar Science and Exploration at the Lunar and Planetary Institute. Dr. Kring is instrumental in academic-industry-NASA joint projects working on robotic lunar lander and rover systems that can be deployed anywhere on the lunar surface. 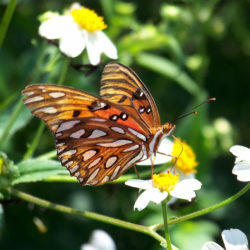 Join us on Saturday, April 14th for the opportunity to restock your pollinator garden with beautiful, healthy, and hard-to-find nectar and butterfly host plants. There will also be ladybugs and caterpillars for sale and a face painter for the kids! Once you’ve made your selections, stroll into the Grand Hallway to find our Garden Festival featuring orchids for sale, as well as booths from local gardening organizations. Entrance to the Plant Sale and Garden Festival are free and the knowledge and information you’ll leave with is priceless! Face painter will be here from 9:30 a.m.–11:30 a.m.
Click Here to See a Layout of the Plant Sale! Click Here for a List of All the Plants! 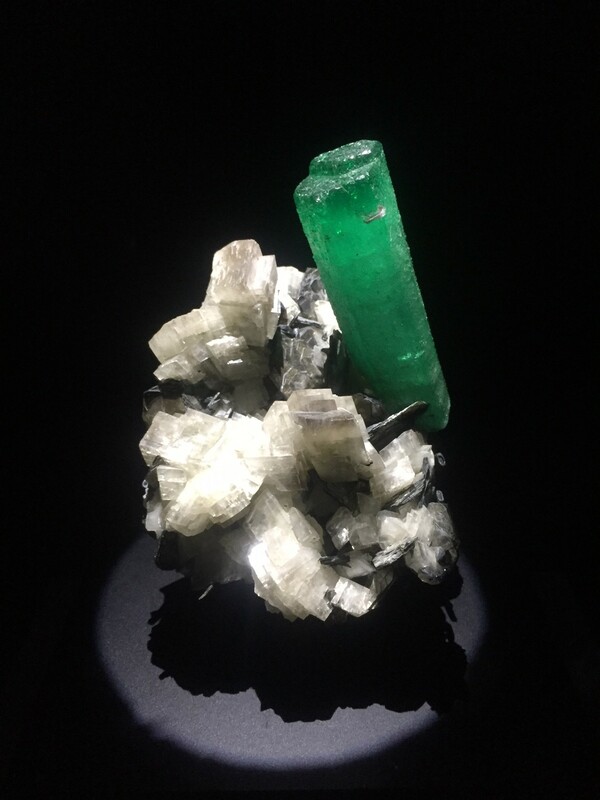 Using over two-hundred specimens representing one-hundred different species that you will be encouraged to touch, this introductory workshop will focus on the way different minerals form and how they are classified. Industrial and commercial uses of minerals will also be emphasized to allow you the pleasure of identifying and appreciating minerals in your day to day life. Following the classroom instruction, the class will continue in the Museum’s Cullen Hall of Gems and Minerals and select displays in the Hall of Ancient Egypt and Gemstone Carvings. Go behind-the-scenes in the Museum’s staff training lab where hundreds of specimens are uniquely presented in a hands-on road maps. Each workshop includes a tour of multiple exhibition halls. 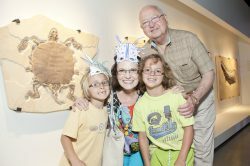 The instructor is geologist and paleontologist James Washington, HMNS staff trainer.